Explore the different eras of jewelry style and design your own jewelry based on these well-recognized and distinct style periods. 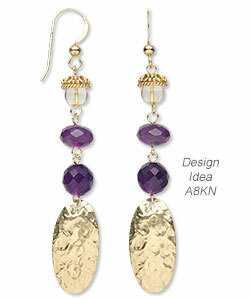 Find inspirational suggestions and design ideas for creating historically rich jewelry pieces. First things first ... what is the difference between vintage and antique? As a general rule antique jewelry is any piece over 100 years old and vintage jewelry is younger (20 years old or so) and is usually dated between 1920 and 1980. 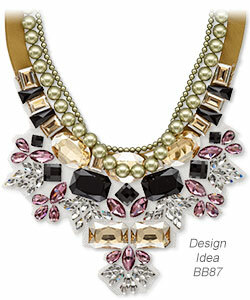 Named after England's Kings George I, II and III, this era's jewelry has an opulent and elegant flair. Well known for its symmetry, jewelry from this period is completely handcrafted, very rare and highly collectable. Georgian jewelry included precious and semiprecious stones such as garnet, emerald, ruby, diamond, coral and topaz. Statement pieces often featured shapes from nature, such as birds, foliage, flowers, animals, a single curved feather or ribbons and scroll motifs in elaborate and intricate designs. Amber, ivory, pearl, turquoise, translucent agate and carnelian stones and beads were commonly used in jewelry designs, along with carved gems referred to as intaglios. Stones set in Georgian pieces often had enclosed backs and were set over foil. Matching jewelry sets (known as parures) were in high demand, offering a coordinating necklace, ring, earrings, bracelet and tiara. 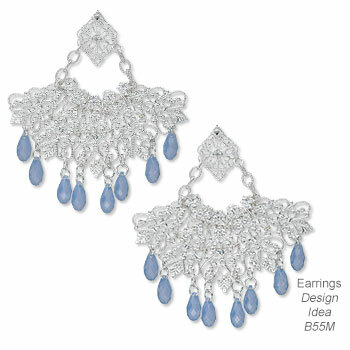 Short necklaces such as riviéres, comprised of a row of diamonds or gemstones, and chandelier-style earrings were popular. Women wore mourning jewelry, including funeral scenes painted on ivory, jewelry made with a lock of hair from a loved one and portrait miniatures of loved ones on jewelry such as pendants and brooches. Lover's eye lockets with a painting of an eye were in vogue. Both men and women wore buttons on coats, jeweled shoe buckles, pocket watches and chains. Jewelry was also designed to come apart to form different pieces (also known as convertible jewelry), such as a necklace that becomes two bracelets or a bracelet that could become a pair of earrings and brooch. 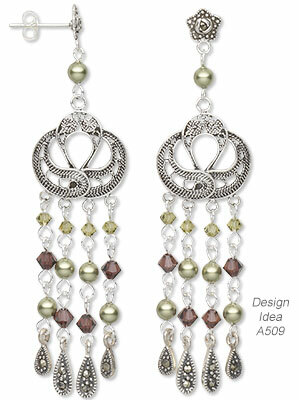 Matching jewelry sets including coordinating earrings, necklace, ring, bracelet, etc. This period is marked by the reign of Queen Victoria who married Prince Albert in 1840. The jewelry of this era is widely known for its figurative motifs and sentimental statements, and is further divided into three major periods. The Early Victorian Period, or Romantic Period, spanned 1837-1860; the Mid or High Victorian Period, also known as the Grand Period spanned 1860-1885; and the Late Victorian Period, or Aesthetic Period spanned 1885-1901. Elaborate cameos made from shell and stone, mosaics, fringe, rosettes and colorful gemstones were paraded around. Design motifs from nature included flowers, trees, leaves, birds, stars and cresent moons; and animal-themed jewelry sets, such as an enameled serpents, snakes, dragons and griffins. There were hearts, bows, love knots, scrollwork and hands symbolizing friendship. Jet, onyx, amethyst, deep red garnet, sapphire, peridot, spinel, coral, opals, seed pearls and human hair were all popular materials used in Victorian pieces. Delicate designs with elaborate engraving, filigree elements, brooches, hat pins, locket pendants and earrings were prevalent. Women wore bracelets and bangles with hand-worked gold links and hinged clasps. Two popular design types emerged including Cannetille and Repousse. 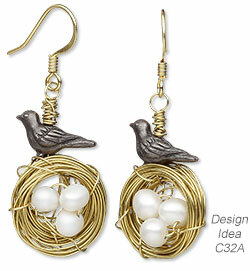 Cannetille is a wirework decoration using coiled and twisted gold wire to create a delicate scrolling effect and Repousse is a metalworking technique in which metal is ornamented or shaped by hammering from the reverse side to create a design in low relief. In other words, Repousse is used to work on the reverse of the metal to form a raised design on the front side versus refining the design on the front by sinking the metal. French for ''new art,'' Art Nouveau is a period characterized by highly stylized, free-flowing lines, creating movement within jewelry and bringing it to life. Jewelry pieces of this time were large and elaborate, and often incorporated floral and other plant-inspired motifs. Jewelry was flowing with feminine and fancy figurines, flowers, vines, leaves, scrolls, birds, beetles, grasshoppers, spiders, serpents, dragonflies and butterflies in beautiful enamels. Swans, swallows and peacocks were also prevalent motifs. 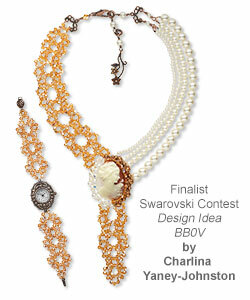 Designs were adorned with cabochon gemstones, pearls and scrolling gold work. Opal, moonstone, horn, bone and ivory were commonly used and popular jewelry styles included brooches, pendants, buttons, stick pins, cuff links and charms. During the Industrial Revolution many jewelry designers rebelled and returned to the traditional craftsmanship and the virtue and beauty of handmade jewelry, believing in ''the moral purpose of art.'' This era, also known as the guild revival movement produced a belief in simplicity and artistry was considered more important than the value of the materials. It was held that specialization went against the principles of the movement and each piece of jewelry was to be made by one person from beginning to end. An emphasis is placed on less precious metals such as brass, copper, silver and aluminum. Gemstones cabochons and pearls were chosen for their beauty, rather than as a display of wealth, and materials used were kept in as close to the natural state as possible. Baroque pearls, mother-of-pearl shell, moonstone, turquoise, garnet, opal and amethyst were commonly used. 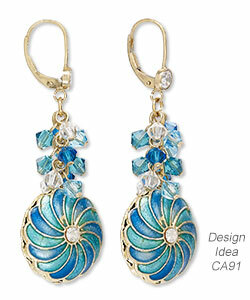 Jewelry had simple patterns, often made of uncut stones and cabochons and done in bright colors. 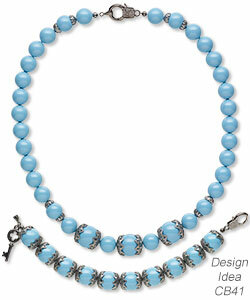 Common jewelry pieces included cloak clasps, buckles, brooches, hair ornaments, rings, pendants, bracelets and cufflinks. Hand-painted enamel was popular as this movement looked to nature for design influences. Motifs included winged scarabs, flowers, birds, leaves, peacocks and ivy. A sailing ship was a distinctly prominent arts and crafts jewelry motif. This era is named after King Edward VII of England and is also known as the Belle Époque era. Due to advances in platinum fabrication, this period was an opulent time of pearls and diamonds, emeralds and rubies, in light and airy jewelry designs. Lavish yet delicate jewelry featuring diamonds and pearls paired well with the fashion of the hourglass silhouette and pale-colored fabrics. Flowers, ribbons, laurel wreaths, tassels and bows with a lace-like appearance came to be known at the ''The Garland Style.'' 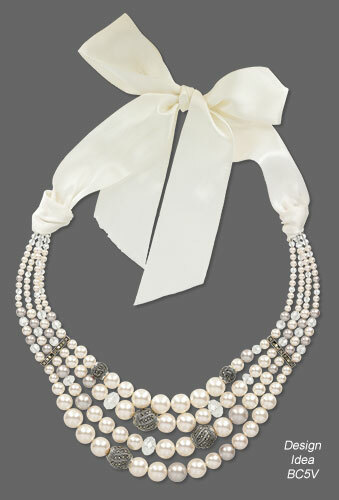 Necklaces were most popular, such as the choker-style ''dog collar,'' combined with longer necklaces, simple strands of natural pearls or pendant necklaces with two drops of unequal length. Tiaras and hair jewels, dangling earrings and the use of sporting motifs were prevalent. This period is marked by strong lines, bold geometric shapes, dramatic features, contrasting colors and symmetry. 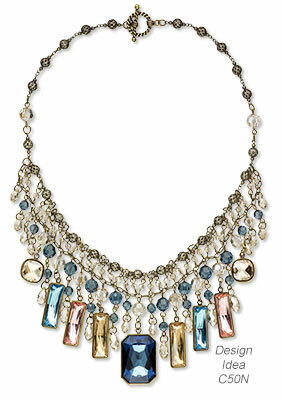 Representing technological progress, fashion and luxury, the jewelry of this era was dazzling and flamboyant. Jewelry incorporated Egyptian influences such as pyramidal shapes, scarabs, falcons and sphinxes, and motifs including arrows, rockets, dragons and images of graceful animals like panthers, gazelles and greyhounds. 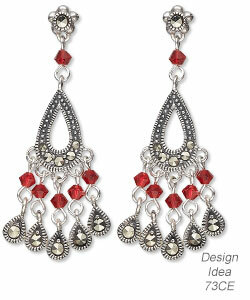 Popular styles included long pendant earrings, cocktail rings, diamond watches, multiple bracelets, studded bracelets and bracelet cuffs, layered necklaces, diamond bar pins and gemstone brooches. 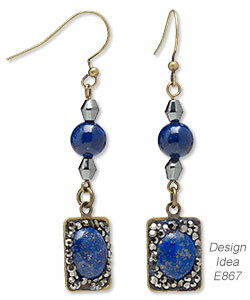 Black onyx, red coral, lapis, turquoise, carnelian, ruby, emerald and sapphire were popular in designs. Geometric shapes such as circles, squares, triangles and rectangles were combined with zigzag and sunburst patterns. Patterns consisted of sharp edges and vivid colors that contrasted each other within a single design. 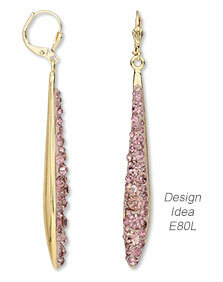 A period of elaborate, chunky and colorful jewelry with an array of gold and gemstones in oversized, rectangular cuts. This jewelry was also referred to as ''cocktail jewelry,'' and reflected Hollywood's golden age with all the glitz and glamour of the big screen. There was beautiful pavé-style jewelry, oversized cocktail rings, charm bracelets, large earclip earrings, convertible jewelry and bib necklaces with gemstones such as citrine, rubies, sapphires, amethyst, aquamarine and topaz. Large three-dimensional flowers, birds, lions, tigers, panthers, snowflakes and other natural motifs, along with bows, ribbons, ruffles and scrolls were used in designs. The period following World War II, also known as the Art Modern era, saw jewelry designs become more traditional, understated and personalized. 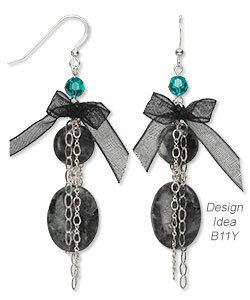 This era includes jewelry up to the modern day and continues to be very eclectic and diverse. 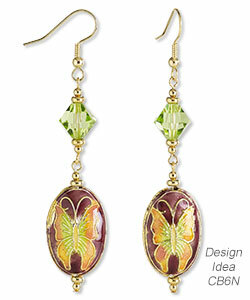 Jewelry featuring clusters of uniquely cut gemstones in whimsical shapes of animals, butterflies, flowers, dancing ballerinas and other distinct patterns is a sought after style. Polished gold and sleek lines, colored diamonds, faux pearls and dress clips gained popularity, along with charm bracelets, identification (I.D.) bracelets and birthstone jewelry. Christmas tree pins and other holiday-themed jewelry entered the fashion scene as women looked to costume jewelry and rhinestones. 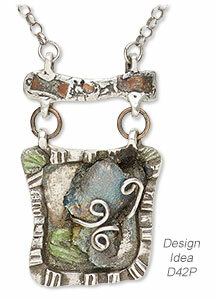 Found objects such as buttons and vintage coins are incorporated into jewelry.